How long will it take for the carpets to dry? The carpets will dry in about 2 to 4 hours. Once the carpets have been cleaned they can be walked on. Are you able to come out on the same day? Yes, we only use tried and tested products that are environmentally safe. Does cleaning damage my carpet? No it does not as regular cleaning will help extend the life and overall condition of your carpet. Allowing dirt to build up in your carpet can be quite harmful. Most carpet manufacturers recommend that your carpets should be cleaned every 6 to 12 months. It does not matter what method you use to clean your carpet, it is all the same. 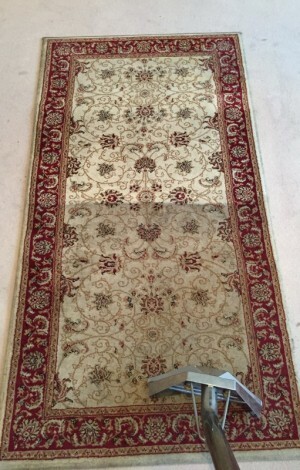 The importance of the carpet cleaning method should not be neglected as it makes a huge difference. The right method will ensure all dirt and residue is cleaned off your carpet. It will also enhance the life of your carpet and have a healthy impact on your family. Carpet cleaning is something that should be done quite irregularly. This is an incorrect assumption as dirt acts as an abrasive force on the fibres of your carpet. Foot traffic onto any carpet will help embed soil and dirt into your carpet thus damaging your carpet in the long run. Why should I choose Keep Clean over another cleaning company? At Keep Clean, we only use high quality products and equipment that is guaranteed to bring a shine to your carpets again. By choosing another company you run risk of a company using inexperienced staff and poor quality products that will ruin your carpet and leave you with an expensive replacement bill. All a company needs to clean a carpet is the right equipment. This is not part of the bigger picture as many cleaning companies do not instruct their staff on how to properly use equipment like hot-water cleaners. This can lead to sufficient damage being caused to your carpet. I can do a good job with a do-it-yourself cleaning machine. A DIY cleaning machine will very often clean the surface and will not remove dirt that is trapped within the fibres of your carpet. This is due to the fact that the cleaners do not have enough suction power and hot water to really clean your carpet to the standard it deserves. An honest carpet cleaning company should give an exact price over the telephone. Unfortunately at Keep Clean, we are unable to do as all carpet cleaning is priced by square foot and the type of carpet. 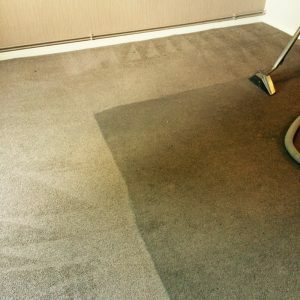 Not every carpet we clean is in the same condition and others require more work than others to remove soiling. This is especially true of carpets that have not been cleaned in several years.